Iranian president warns of “war situation” in Iran, labeling the U.S. a “bullying enemy” • Israeli Defense Minister Avigdor Lieberman welcomes renewed U.S. sanctions, says they will deal a “critical blow” to Iran’s military presence across the region. Iran greeted the reimposition of U.S. sanctions Monday with air defense drills and an acknowledgment from President Hassan Rouhani that Iran is facing a “war situation.” The moves intensified regional tensions as the hard-line U.S. approach to the Islamic republic takes hold. The sanctions that took effect on Monday mainly target Iran’s oil sector and effectively end all the economic benefits the United States had granted Iran under the 2015 nuclear deal with world powers. For now, Iran continues to abide by the curbs in the accord that limit its enrichment of uranium. However, Iranian officials have made a point in recent months of declaring that uranium enrichment could resume at any time, faster than before. The new U.S. sanctions particularly hurt Iran’s vital oil industry, a crucial source of hard currency for the country’s anemic economy. The Iranian currency, the rial, has plummeted over the last year, sending prices for everything from mobile phones to medicines skyrocketing. “Today, Iran is able to sell its oil and it will sell,” Rouhani vowed Monday as the sanctions took effect. Israeli Defense Minister Avigdor Lieberman welcomed the newly restored U.S. sanctions in a tweet on Monday, saying they will deal a “critical blow” to Iran’s military presence around the Middle East. 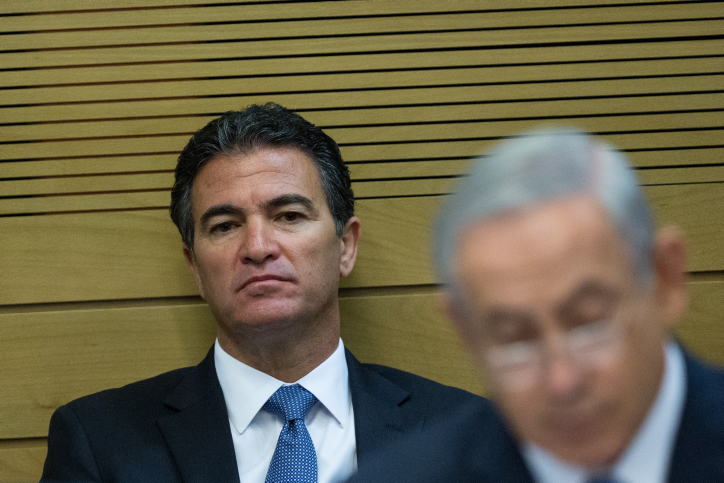 Israel has been a fierce opponent of the 2015 nuclear deal, from which the U.S. withdrew in May, saying it failed to rein in Iran’s regional military threat. Meanwhile, Iranian state television aired footage of air defense systems and anti-aircraft batteries in two-day military maneuvers underway across a vast stretch of the country’s north. The exercise included simulations of surface-to-air missiles shooting down a drone. The drill was to continue through Tuesday. Iranian army Gen. Habibillah Sayyari said both the national army and the country’s paramilitary Revolutionary Guard were taking part in the exercise. 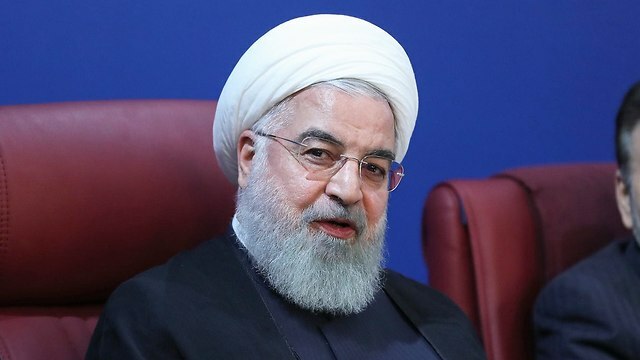 In comments aired on state television Monday, Rouhani pledged to government officials that Iran would overcome the American sanctions. He further stepped up the rhetoric, comparing Iran’s situation in the 1980s war against Iraqi dictator Saddam Hussein with the current reality. “Yesterday, Saddam was in front us; today Trump is front of us. There is no difference. We must resist and win,” he said. Rouhani separately said leaders from “four powers” met with Iran on the sidelines of the September meeting of the United Nations General Assembly to try to save the nuclear deal, including brokering a possible meeting with Trump. He did not name those countries, but was likely referring to China, France, Russia and Britain, which along with Germany made up the world powers involved in the nuclear accord. “This issue does not require a mediator,” Rouhani said, blaming America for unilaterally pulling out of the agreement. The United States says the sanctions are not aimed at toppling the government, but at persuading it to radically change its policies, including its support for regional terrorist groups, such as Hezbollah and Hamas, and its development of long-range ballistic missiles. 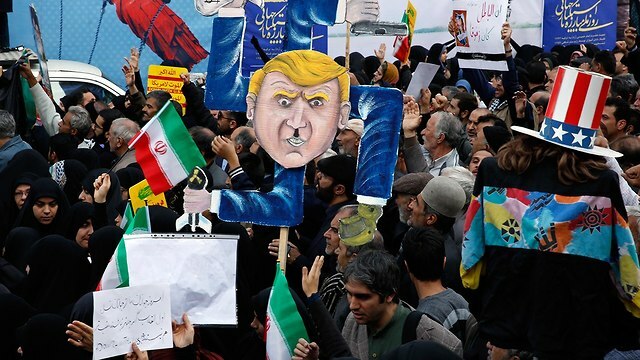 However, Trump’s personal lawyer Rudy Giuliani and U.S. National Security Adviser John Bolton have both made public statements supporting overthrowing Iran’s theocratic government. This is also the undeclared goal of the current ‎round of sanctions: to push the Iranian leadership ‎into a corner and force it to make different ‎decisions. To date, talks of such negotiations have proved ‎nothing but rumors, but it is likely that ‎intermediaries will soon emerge to promote the idea. ‎The more pressure Tehran feels over the new U.S. ‎sanctions, the more eager it will be to reach a ‎compromise to lift them. As US sanctions snap back, Revolutionary Guard and the Islamic Republic’s national army launch two-day military maneuvers in the country’s north; ‘We are in the economic war situation. We are confronting a bullying enemy. We have to stand to win,’ says President Rouhani. 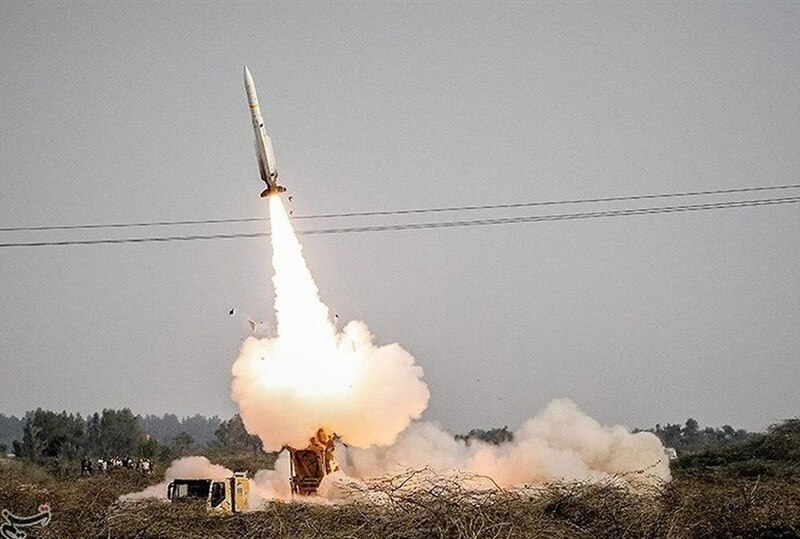 TEHRAN – Iran greeted the re-imposition of US sanctions on Monday with air defense drills and an acknowledgement from President Hassan Rouhani the nation faces a “war situation,” raising Mideast tensions as America’s maximalist approach to the Islamic Republic takes hold. 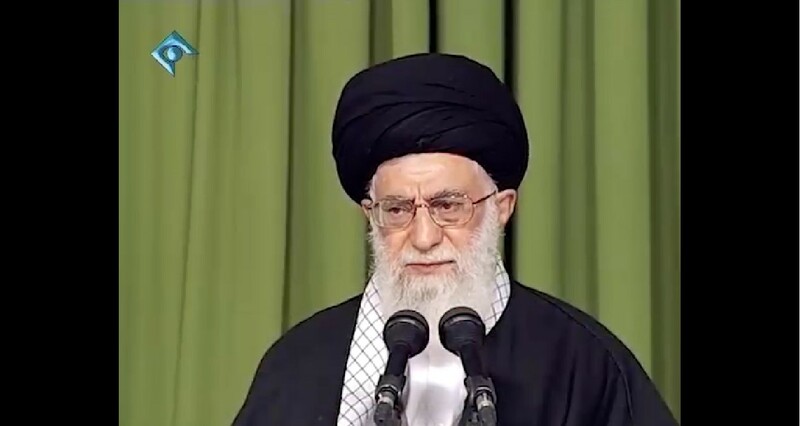 The sanctions end all the economic benefits America granted Tehran for its 2015 nuclear deal with world powers, though Iran for now continues to abide by the accord that saw it limit its enrichment of uranium. While for now not threatening to resume higher enrichment, Iranian officials in recent months have made a point to threaten that could resume at any time faster than before.The new American sanctions particularly hurt Iran’s vital oil industry, a crucial source of hard currency for its anemic economy. Its national currency has plummeted over the last year, sending prices for everything from mobile phones to medicine skyrocketing. “Today, Iran is able to sell its oil, and it will sell,” Rouhani vowed Monday as the sanctions kicked in. He further stepped up the rhetoric, comparing Iran’s situation in the 1980s war against Iraqi dictator Saddam Hussein with the current one and President Donald Trump’s move to reinstate US sanctions. “Yesterday, Saddam was in front of us, today Trump is front of us. There is no difference. We must resist and win,” he said. Defense Minister Avigdor Lieberman welcomed the newly restored US sanctions in a tweet on Monday, saying they will deal a “critical blow” to Iran’s military presence around the Middle East. 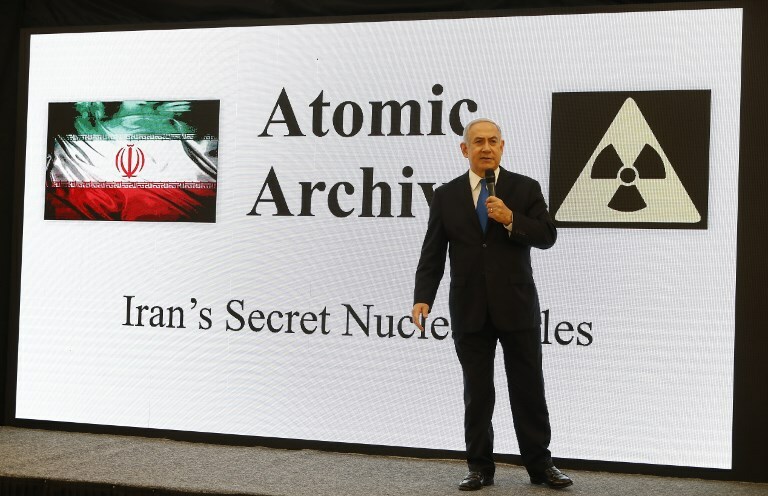 Israel has been a fierce opponent of the 2015 nuclear deal from which the US withdrew in May, saying the accord failed to rein in Iran’s regional military threat. Iran’s Telecommunications minister accused Israel of targeting the country’s communications infrastructure. Iran’s Telecommunications minister accused Israel of a new cyber attack on the Islamic Republic, the same day US sanctions lifted by the 2015 nuclear deal were reimposed and just days after Iran said it had neutralized a new version of the Stuxnet virus. 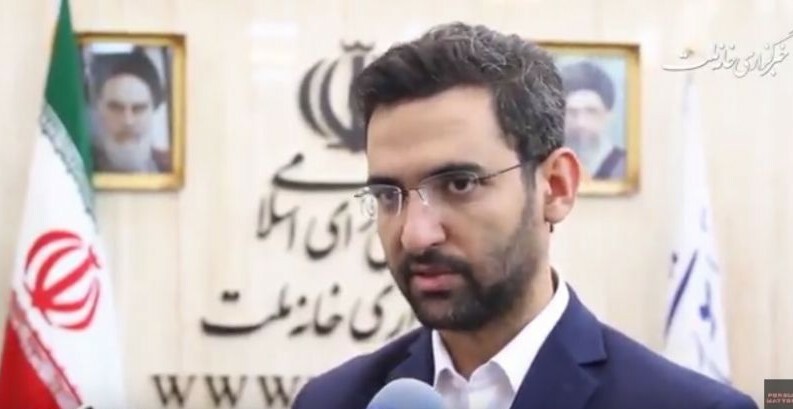 According to Iran’s Tasnim news agency, Jahromi’s deputy Hamid Fattahi said that more details of the alleged Israeli cyber strikes would be made public in the coming days. Last week General Gholam Reza Jalali, head of country’s military unit in charge of combating sabotage, said that President Hassan Rouhani’s cell phone had been tapped, and that it would be replaced with a more secure device. 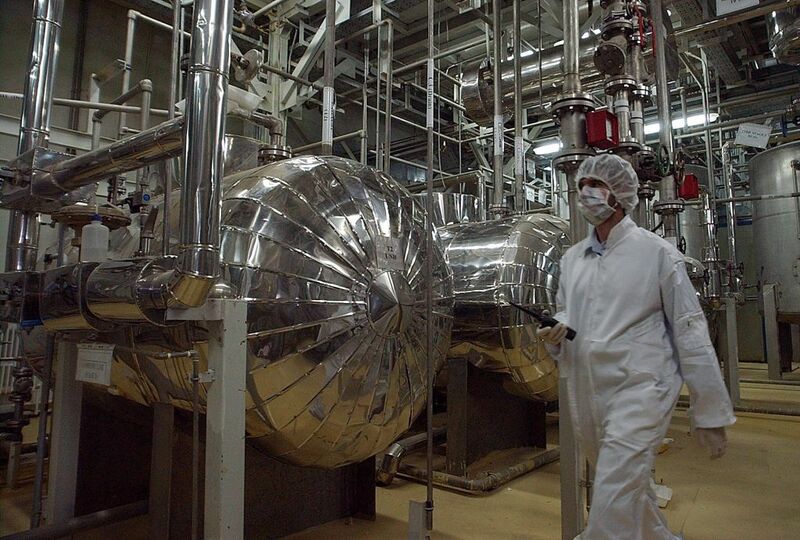 According to a report by Iran’s semi-official ISNA’s report carried by Al Jazeera, Iran also neutralized a potent new version of the Stuxnet virus, which in 2011 destroyed thousands of centrifuges involved in Iran’s nuclear program. While no country ever acknowledged being behind the attack, it was widely believed to have been carried out by the United States and Israel. The latest alleged cyber attacks came as the Trump administration re-imposed oil and financial sanctions against Iran, and added 300 new designations on the country’s oil, shipping, insurance and banking sectors. Israel’s defense minister welcomed the restored sanctions, saying in a tweet that they would be a “critical blow” to Iran’s military presence around the Middle East.